Apple today seeded the sixth beta of an upcoming watchOS 5.2 update to developers, one week after seeding the fifth watchOS 5.2 beta and two months after releasing watchOS 5.1.3. The watchOS 5.2 update introduces a set of new Hermès watch faces. 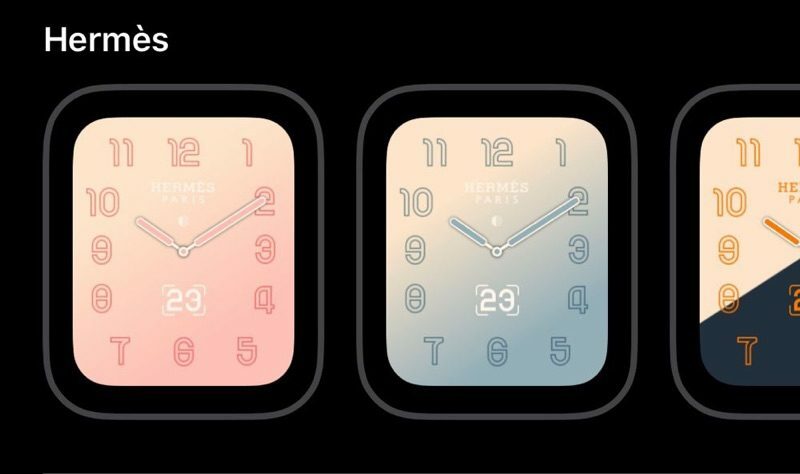 The watch faces are available in pink and blue, and feature a gradient-style design that changes much like other Hermès watch faces. There are customizable numbers and an option for a single complication. There could be changes coming to the way the ECG feature works in other countries. 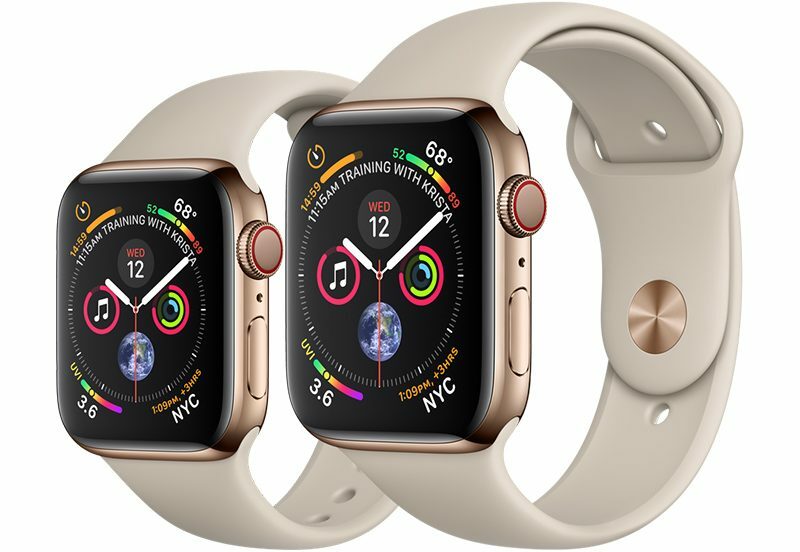 In iOS 12.2 and watchOS 5.2, when setting up a new Apple Watch, Apple is using location to make sure the ECG feature is available in a particular region, suggesting the company may be planning to geofence ECG functionality and limit it to the United States. This would potentially prevent customers who purchased a U.S. Apple Watch but live in another country from using the ECG feature. Location is verified via SIM card and can't be bypassed during Apple Watch setup. We haven't seen any other major changes in watchOS during the beta testing period, but we'll get a better look at what's included when Apple releases watchOS 5.2 to the public complete with release notes. We're expecting Apple to release watchOS 5.2 alongside iOS 12.2, tvOS 12.2, and macOS 10.14.4 following the company's March 25 event. I wish they could issue a couple of faces that could be functional with an always on display. I have that option on my Galaxy Active (and older Samsung watches) and it's a great convenience. Sometimes it's awkward when you want to check the time or a notification in a social setting and have to do something to activate the watch face. It always draws attention and makes people think you're trying to dismiss them or would rather be elsewhere. I currently have a dim AOD version of my favorite Galaxy watch face and can glance at it without calling attention to that fact. I get a day and a half on the battery so I think Apple may eventually be able to bring that feature to us. Super fast update on series 4. So fast I was not sure it actually updated at first! Apple has come a long, long way in regards to the update process.